Time for another week’s worth of healthy meals. How are you all liking these meal plans so far? Do you find them useful and delicious? Is there anything in particular you would like to see? How about them 9ers? Let’s hop to it, shall we? 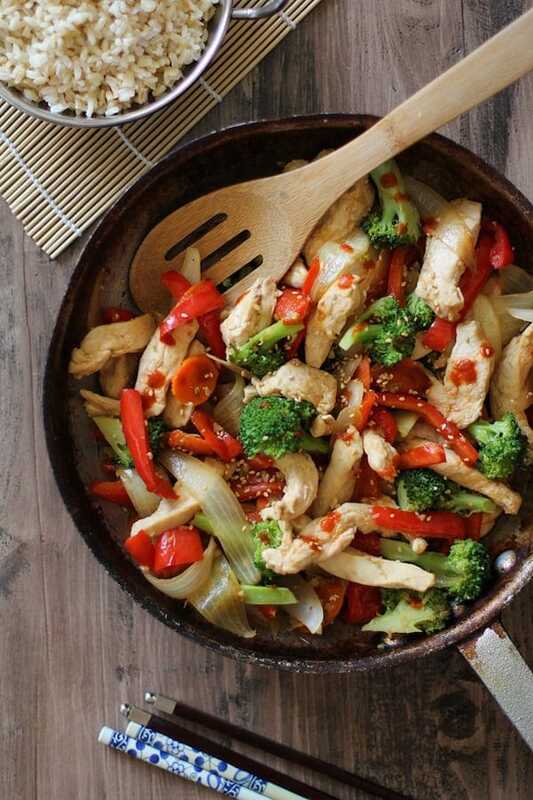 30-Minute Garlic Ginger Chicken Stir-Fry from The Roasted Root (thaaaa’s me!). Prep ahead tips: To prepare this recipe in parts, the rice can be prepared 1 to 2 days ahead of time, and the vegetables can be chopped and stored in the refrigerator 1 to 2 days ahead of time. 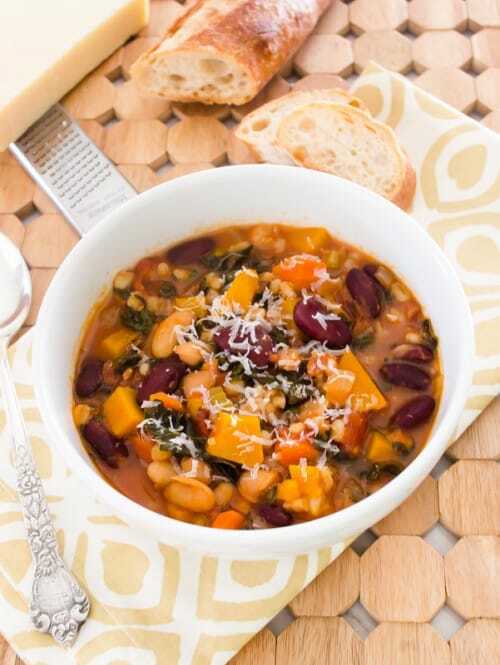 To make this recipe vegetarian, omit the chicken and add a 14-ounce can of chickpeas, and/or extra firm tofu. Prep ahead tips: Veggies can be prepped ahead of time. Omit pancetta for a vegetarian option. 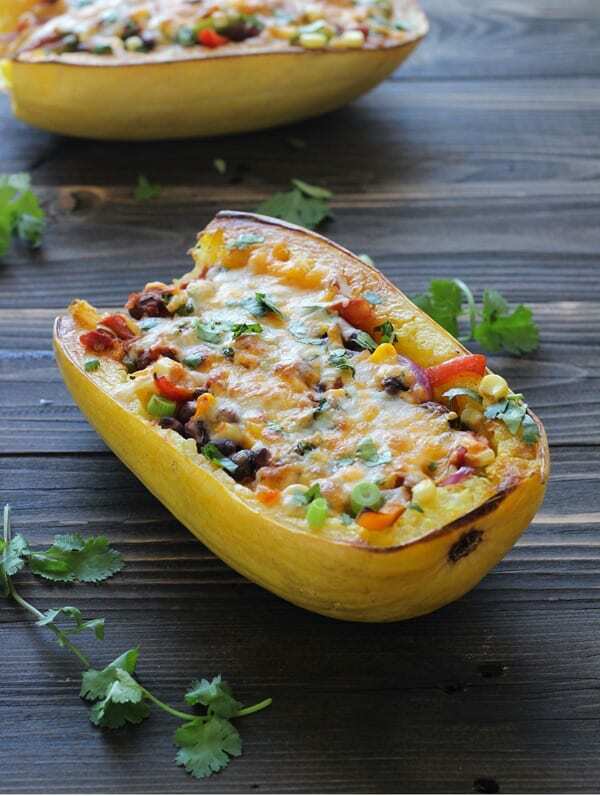 Kabocha squash may be substituted with butternut squash or sweet potatoes. Farro may be substituted with quinoa or pasta. Prep ahead tips: You can prepare the filling and roast the squash the day before and then assemble and reheat the day of. 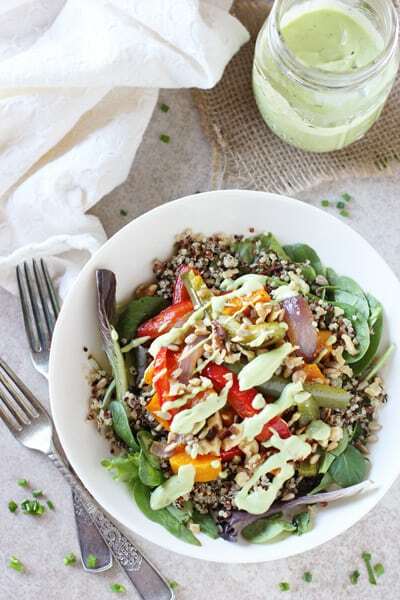 Roasted Rainbow Veggie Salad with Quinoa from Cookie Monster Cooking. Prep ahead tips: You can make the quinoa, dressing and even roast the veggies in advance if desired. Store in seperate containers in the refrigerator. One Pot Weeknight Spaghetti from greens & chocolate. Prep ahead tips/vegetarian adaptations: You can cut the veggies ahead of time. 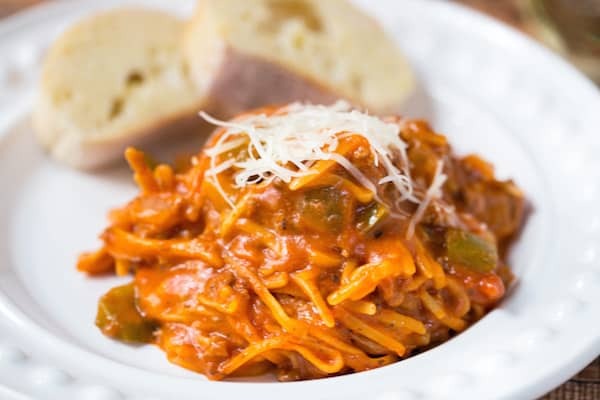 To make vegetarian, omit beef and substitute a vegetarian protein and/or add more vegetables to bulk it up such as chopped mushrooms, zucchini, or peppers. 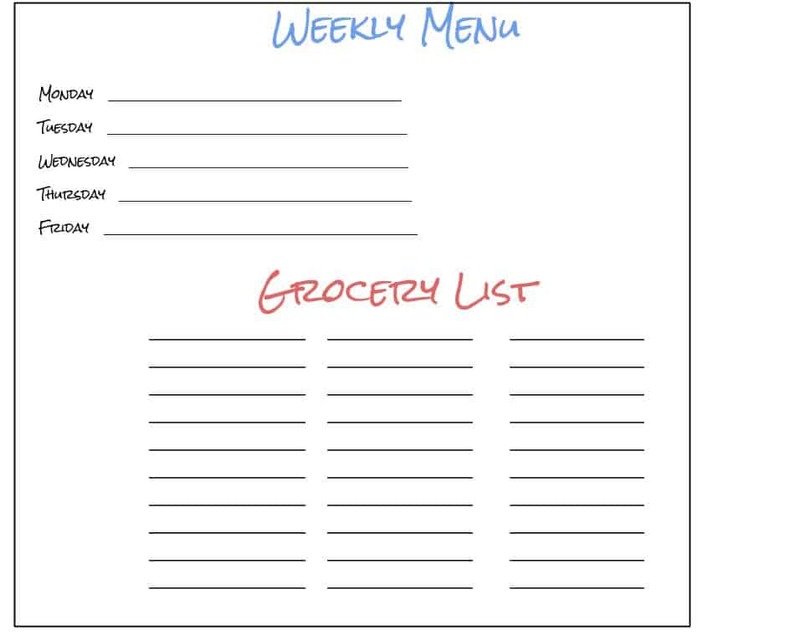 Click HERE for printable meal plan and grocery list (shown above)! 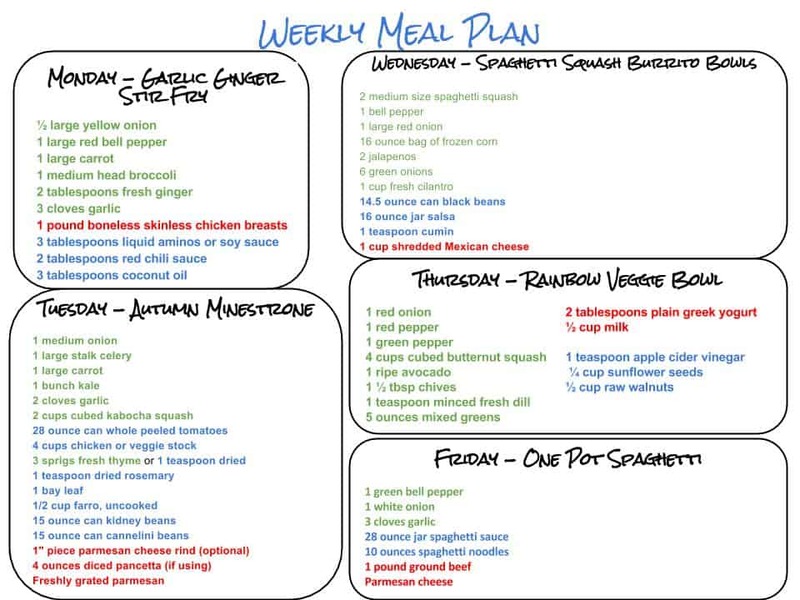 Click HERE for customizable meal plan and grocery list (shown above)! I am loving this weekly meal plans, friend! Keep up the good work 😉 Have a lovely weekend!